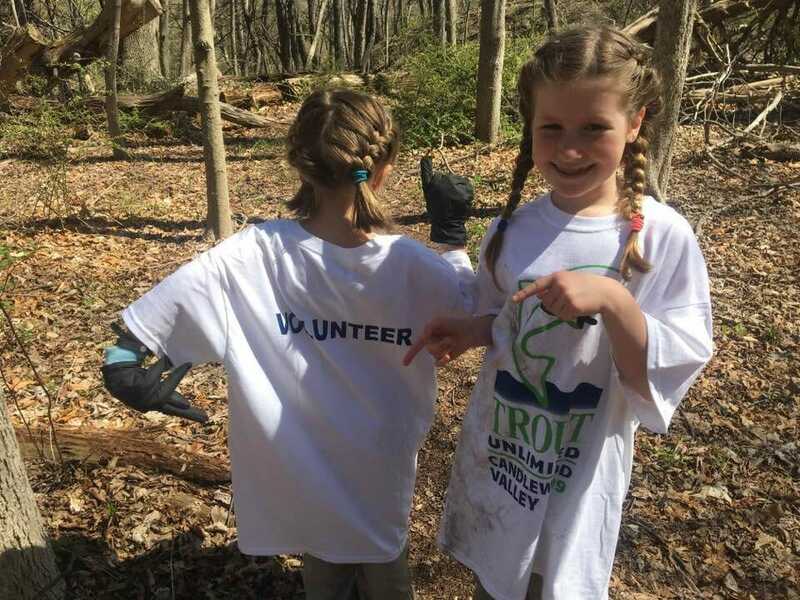 Jeff’s two step-daughters, Katherine (left) and Kaitlyn, ages seven and eight, show off their volunteer spirit on a recent Trout Unlimited streamside trash cleanup. Editor’s note: This is the first in a series of blog posts from TU leaders explaining their love for volunteering, for making fishing better and for sharing TU’s message all over the country. We’ll use #TUVolunteer to denote these posts. It almost feels like I was born an angler. From among my very first memories growing up in my Grandma’s house along the banks of the Norwalk River in Connecticut, the most vivid and frequent ones are of time spent at the river. Playing. Splashing. Fishing. Fishing was a shared love in my family. 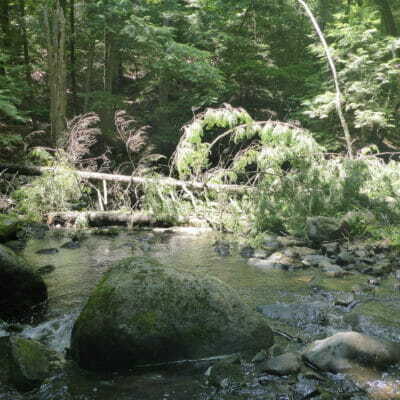 In fact, in the early years, my mother was more likely to be the one to take me down to the stream for trout—a passion she learned from her mother in summers spent on Block Island. Proximity, encouragement and opportunity made me an angler, but it was something else, something deeper, that ignited the thrill I felt to my core in the escape into this watery world of fresh-from-Grandma’s garden worms and tree-lined mossy stream banks and trout. When I was 11, a good friend of my father’s invited us to come to a local Trout Unlimited meeting. And again to come on a chapter fishing trip. And again to come to a chapter trash cleanup. We were, of course, hooked. We jumped right in to the community of anglers we found who immediately embraced us and who took us under their wings to mentor and educate in all things fly fishing, rivers, bugs and water quality. To this day, I find it poignant that it was my Grandma who bought me my first Trout Unlimited membership. I like to think that she somehow knew, the way grandmothers often do, that this love of mine for fishing would lead to a love of rivers, to a love of escaping to nature, to a love of conservation, to the love of my life and to the love of my two beautiful girls who have entirely changed me for the better. I wish I could ask her. Four years later, my chapter received its first ever Embrace-a-Stream grant from TU to restore wild brown trout habitat on the Norwalk River. I don’t remember an epiphany, but I’m sure there was one. If not, there was at least a slow awakening in my soul, a sense that this was my calling—to fix rivers and to turn back the clock for nature’s sake and undo the damage we had caused. I still swell with pride, 20 years later, as I slowly fish upstream past bank-stabilizing logs anchored with six feet of rebar I pounded into the rocky riverbed with a sledgehammer. Or make a cast under an overhanging Spicebush I planted alongside my fellow TU volunteers and world savers one crisp and promising spring morning years ago. College took me away for a time, but I returned, and my river was there waiting for me—hoping, it seemed—that I would again wade its waters, catch its trout, and work to make it healthier. My TU chapter was also waiting. Eager to once again bring me in—this time as a board member—and share our vision of a growing community looking to accelerate our impact. And we did. And we do. But then, something amazing happened in my life. Maybe it was TU, or maybe it was the river, or maybe it was my Grandma, but some force out there decided it was time I learned the truth. 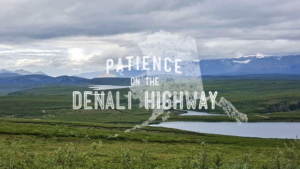 I had always thought my drive to fix rivers came from the joy I found in fishing them, and my love for wild and natural places—places that had given me shelter and peace in troubling times. A bit selfish, perhaps, but it was the truth I knew and had lived by: I was making fishing better for me. But on a quiet afternoon in a local store, all set to sell books and talk about fishing locally with the trickle of customers filtering through, I met two of the three women who would change my life. One was wearing a ball cap and a quirky smile and talking all about how Trout in the Classroom makes science fun and real for children. The other had curls, bright blue eyes and was coloring quietly at the table. Her sister won me over a few months later as I watched her gleefully dig a mud pit in the back yard. And just like that, my “why” changed. I wasn’t fixing rivers and raising awareness for myself and other anglers. I wasn’t pounding rebar and planting trees for trout. 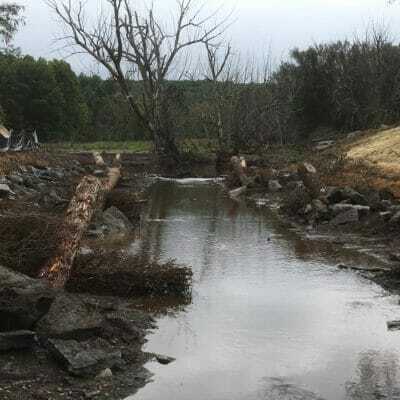 I wasn’t advocating and educating on dam removal and stormwater retention for the heron and mink that would return to the restored habitat. I was building a future for my family, and ensuring my girls and their girls would be able to splash and play and escape to the river the way I had. My children need TU so that they will have magic moments on the water that change their lives. My children need TU so they will have the chance to catch trout, pick up trash, to plant trees, and to learn that they have the power to shape the world for the better. My children need TU so that they can join a community that helps them find their passion and their purpose in life. All children need those chances and those support systems that guide them to discovering their “why” in life. That is why I #TUVolunteer. Jeff Yates, Director of Volunteer Operations, has been a TU member and volunteer for more than 25 years. He works to help strengthen TU’s 400-plus local chapters and state councils and inspire and empower the more than 3,500 volunteer leaders across the country to fix rivers, educate kids and raise awareness about the important of cold, clean, fishable water in their own communities.